If you have any questions or inquiries regarding products or any other products we have to offer please do not hesitate to contact us. What is racking? Why do you need racking in a solar installation? 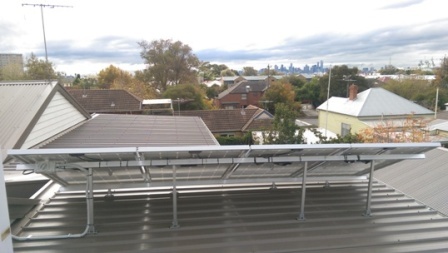 On roof mounted installations racking is used in order to fix the solar modules for maximum system yield. These systems are generally composed of bracket frames, support rails and clamps. The fixing brackets are attached to the roof by either penetration or clamping, for tin or corrugated iron type of roofs. Hooked clamping brackets on the other hand, are fixed underneath layered tiles on a tiled roof. The support rails and panel clamps are used to lay, slide across and fix the desired number of panels at an elevated position. Adequate ventilation ensures that the system operates optimally. Heat plays a big role in the reduction of the power generation and lifetime of a chosen set of modules. Therefore adequate ventilation space under a set of modules is required when installing a solar system. Most racking systems are designed to be durable in almost in any weather condition given there is sufficient space under the panels. 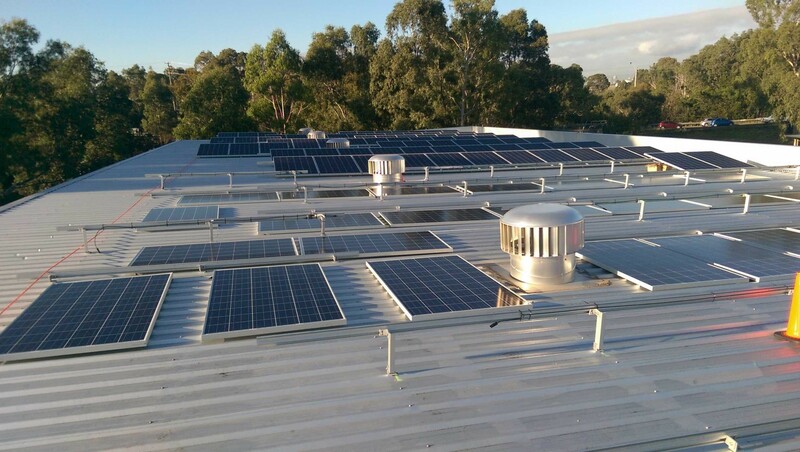 Without free space under the panels, the racking system are prone to buckle under serious heating conditions as see by a typical Australian summer. Most mounting brackets have the added safety of grounding to ensure that panels do not get damaged and that no external conductors will become live under fault conditions.